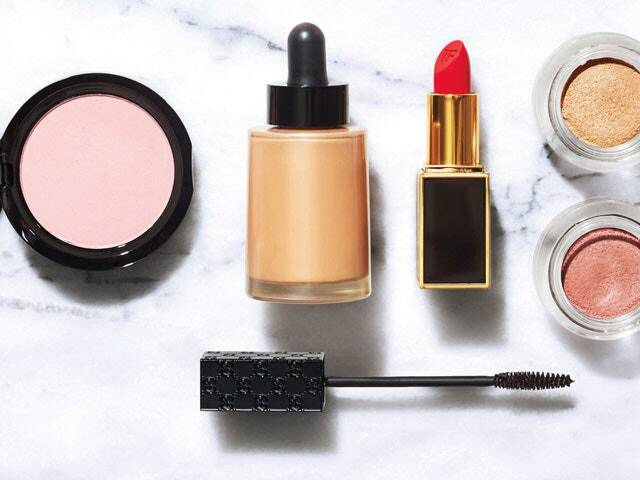 This is something most of us know, but it’s important to know that you also don’t need to spend excessive amounts of money on products that are equally as good as those from your local drugstore. I consider myself a makeup junkie. Over the years, I have tried out several products from several different makeup brands. I used to spend lots of money on makeup, specifically foundation. I was always on the lookout for a new foundation because I have very fair skin and it was usually hard for me to find a perfect match. I spent more money than necessary because I thought the more I spent, the better the product would be. I found out that wasn’t the case. A foundation could be $60 and still not work for me. While I own and enjoy products from many makeup brands, I feel that some of the best products I have found have been at Target or Walmart, and they have been just as good and made me look just as good, if not better. Here are just a few of my most recommended drugstore makeup products that I feel are beautiful and 100% worth the price. A mascara that I highly recommend from the drugstore is the Maybelline Volum' Express The Rocket mascara. I have tried pretty much every mascara from the drugstore, as well as some from Sephora. The Rocket mascara is the one I always go back to buying. I have gotten so many compliments about my eyelashes, and it’s always thanks to this mascara. It doesn’t make your eyelashes look clumpy or messy, it literally just makes them longer, more bold, and more black. To me, that’s what the perfect mascara does, and at $4.99 the price really is unbeatable. I always had a hard time finding a concealer from the drugstore that actually had coverage. I felt a lot of concealers didn't even cover what I wanted them to until I finally found the Maybelline Fit Me concealer. This one blends into the skin so nicely and simply looks natural. If you’re looking for a good, cheap, everyday concealer, this is the one. Apply, blend, set, and you’re ready to go. A good foundation has always been the most difficult for me to find. I have tried so many, probably 20 or more, and I can honestly say that one of my favorites can be found at any local drugstore. I have found several foundations from the drugstore that were great, but I have to narrow it down to the one I know always works for me, and that is the L’Oréal Infallible Pro-Glow foundation. I absolutely love how this foundation looks on my face. It looks like your own skin, like you’re not even wearing a full face of foundation, but you are. It just makes you look radiant and beautiful, and who doesn’t want that?! There are so many amazing makeup products that you can find at Target, Ulta, and Walmart these days. Drugstore makeup brands have really taken it to the next level over the past few years and I can’t help but be impressed. If you’re on a budget, or are just not looking to spend a ton of money on makeup, just go to any drugstore near you and you’ll be surprised! It’s definitely worth it. Delaney is a strategic communications major from the University of Utah. She is very passionate about her writing and enjoys being apart of such a woman empowered online magazine like Her Campus.